Many companies face the challenge of innovation to stay ahead of competition – our company wants to help you! 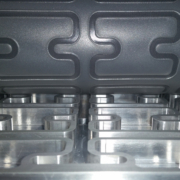 Manual design methods can be costly and time consuming, but we have the capability to create prototype parts in a fraction of the time. 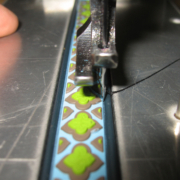 Sewing: With programmable sewing machines, we can alter uncoated webbing to fit any need you may have. Hardware can be added through a variety of methods including riveting and grommets. 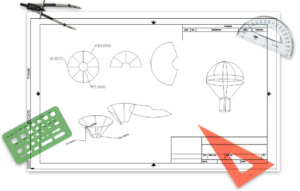 Computer Aided Design: Our team of engineers utilize design software to come up with the best way to create your prototype. Cutting: In our facility, we contain the tools to execute die cutting, shear cutting, laser cutting, water jet cutting, and XY blade cutting. 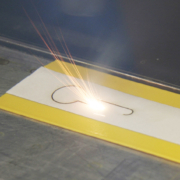 Welding: If your prototype requires welding, we can assist with ultrasonic or high frequency (RF) welding to complete the job.